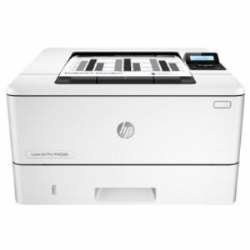 The HP LaserJet Pro M402dn Mono Laser Printer - printing performance and robust security built for how you work. 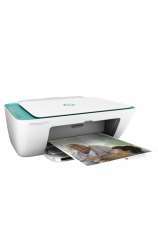 The perfect printer for home and office; you can use as a personal printer or have upto 10 users connected to the printer. 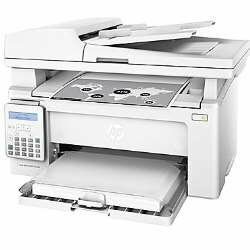 If you print between 750 to 4000 pages then this is the right printer for you. 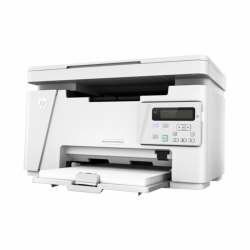 The M401dn also comes with innovative anti-fraud technology, it one of the most secure printers on the market. Brief Specifications Print 1 Hi-Speed USB 2.0; 1 Host USB; 1 Gigabit Ethernet 10/100/1000T network; 1 Wireless 802.11b/g/n Up to 80,000 pages Features Quickly create, capture, and deliver documents Finish faster—with less standing around—using single-pass, dual-head scanning. 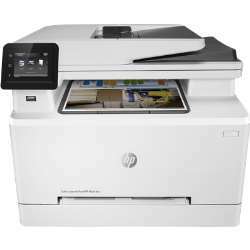 Go from zero to done, right at the MFP—print, copy, scan, and fax with ease. Set up fast and stay connected Pull print jobs from your pocket—walk up and print right from a memory device via the USB port. 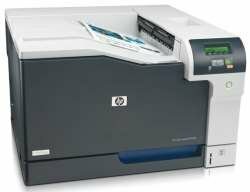 Improve your energy costs and save resources Conserve resources and save paper—use automatic two-sided printing.